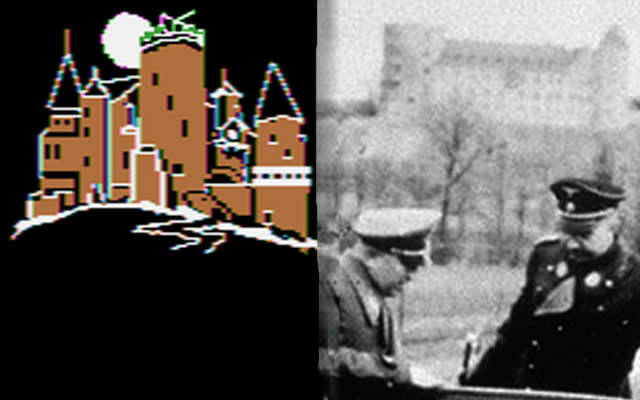 Gaming archaeologists have yet to find evidence of a stealth agent infiltrating a German castle and stealing truckloads of war plans. They do confirm that, assuming the agent executed his directive properly, there would be no evidence. Wewelsburg Castle, an archaeological, scientific, and military SS training castle during World War II, was burned down prior to the end of the war, erasing any trace of double-agent dealings or U.S. infiltrations prior. While the fire is attributed to Heinrich Himmler’s henchmen, the possibility that an exploding robot Hitler ignited the embroidered Prussian curtains still exists and has yet to be refuted with certainty. Castle Wolfenstein may yet exist.